Kurve Technology Awarded U.S. Patent on Nasal Drug Delivery Technology | Marketwired . BOTHELL, WA -- (MARKET WIRE) -- 06/21/07 -- Kurve Technology, Inc., a leading developer of nasal drug delivery devices, has been issued a U.S. Patent covering its ViaNase(TM) electronic atomizer device line. "The granting of this patent validates our technology leadership, reflects our innovation, and protects our intellectual property," said Marc Giroux, CEO of Kurve Technology. "This is just another step in Kurve's mission to redefine the possibilities of nasal drug delivery." The ViaNase device line incorporates Controlled Particle Dispersion® (CPD) technology which contains six critical-to-function design parameters that enable modification of deposition and droplet characteristics. The result is a flexible intranasal technology platform that can deliver virtually any liquid drug without reformulation for the delivery device regardless of viscosity or surface tension. CPD enables pharmaceutical companies to deliver topical, systemic, and nose-to-brain drugs and vaccines with minimal peripheral deposition to the lungs and stomach. Kurve Technology's U.S. Patent (7,231,919) describes a novel way to intranasally deliver pharmaceutical formulations. The patent includes 38 claims covering a "Particle Dispersion Device for Nasal Delivery" that delivers aerosolized particles to the nose and imparts a turbulent flow to the particles often in the form of one or more vortices. Additional coverage includes inhalers, nasal spray devices, and dry powder inhalers. Kurve Technology, Inc. offers pharmaceutical companies innovative nasal delivery technologies for topical, systemic, nose-to-brain medical therapies and vaccines. Kurve's Controlled Particle Dispersion (CPD)(TM) technology intranasally delivers formulations with far greater efficacy and efficiency than traditional methods. 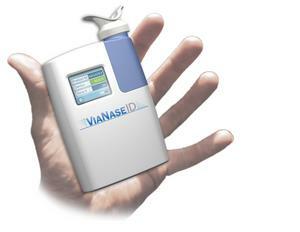 The ViaNase product line of intelligent atomizers incorporates CPD with the potential to deliver a wide range of formulations. Kurve Technology is headquartered in Bothell, WA with offices in Research Triangle Park, NC. For additional information, please visit www.kurvetech.com.